Stepping up to the climate change challenge and playing our part in fulfilling the vision, we looked for innovative ways to reduce our greenhouse gas emissions into the atmosphere. The CDR, in partnership with Mitsubishi Heavy Industries (MHI), is an innovative solution that reduces QAFAC’s total emissions and meets a business need by reusing the recovered CO2 in our methanol production. The CDR plant is first plant to recover carbon dioxide from a methanol plant and re-inject it into methanol production and is the largest plant of its kind built by MHI. 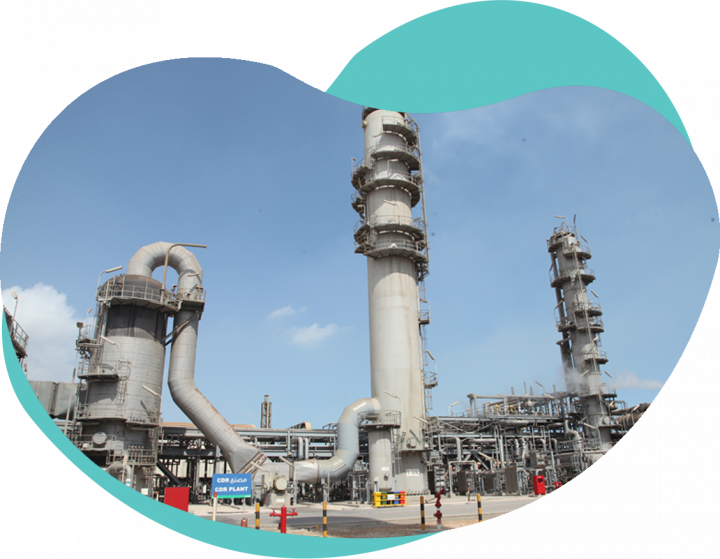 Moreover, the plant will recover 30 m3 of water per hour from flue gas, which will be re-used in the production process. This is expected to reduce the company’s total water intake by 16% based on the latest intake figures. Reduction of 500 MTPD of CO2 emissions to atmosphere and converting it to a clean fuel. of water vapor from flue gas and recycling it to the DM Plant, thus reducing fresh water consumption.